Here we are again, and today we would like to share with you this photo-reportage we did a few days ago at the restaurant LOFT. Rossana and I met there for lunch because we were searching for new places offering a sustainable proposal. 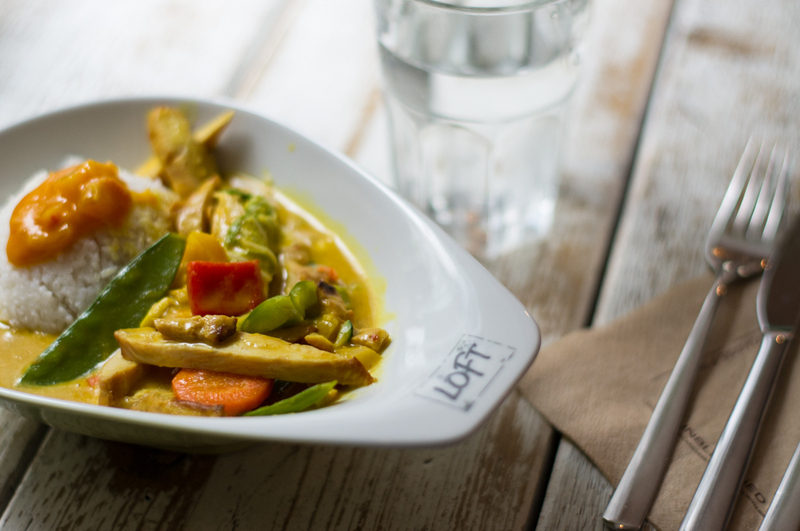 LOFT stands for Light, Organic, Fresh and Tasty. 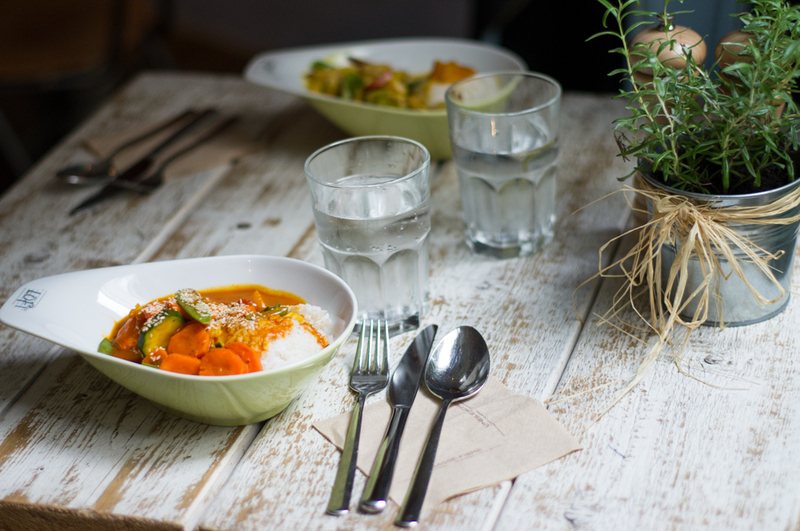 Combining vegan, vegetarian and gluten-free creations, their menu consists of a creative and delicious selection of soups, paninis, salads and curry-inspired dishes (their colourful speciality!). On weekends they also offer breakfast from 10AM to 12PM. But, what makes this place totally unique, is their great range of flavours on homemade ice-cream. Whereas Rossana ordered the Indian curry with fruity tomato flavour, I went for the yellow Thai curry variation – which has a base of turmeric powder and a rich topping of mango, pepperoni and chutney. All curries are vegan in their basic version, but you have the possibility to add chicken, beef or salmon to them if you like.